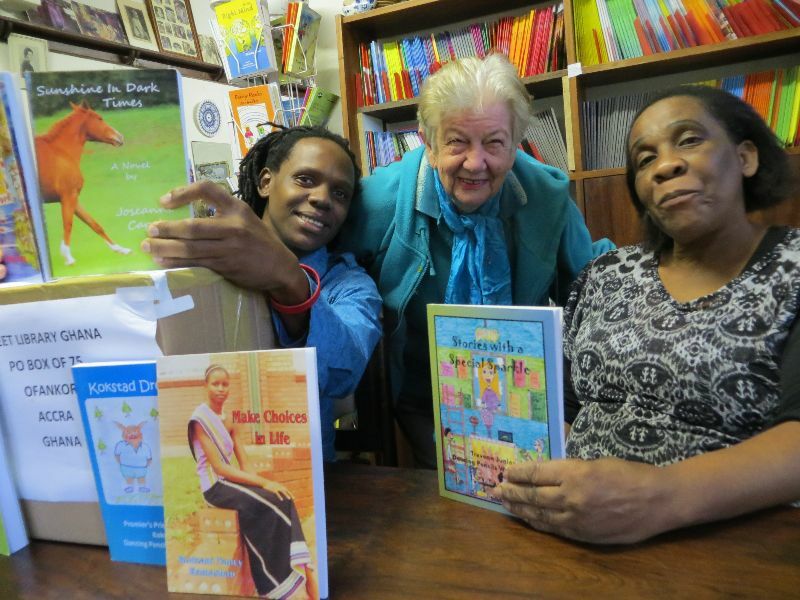 Dancing Pencils and umSinsi Press have responded to an appeal for donations of books for street libraries in Ghana. With a relatively low literacy rate, they are aiming to establish street libraries in 2 000 communities in Ghana over the next five years. Here are some of the umSinsi team (left, Ndiphile Gule, centre, Felicity Keats, right, Edith Gule) with the box addressed for posting to Accra!